You might not think your law firm needs to worry about things. But if you spend a little time thinking about privacy, you'll see the value of your IT system. Managed IT services ensure that your clients are protected and get the value they deserve from you. Here are four reasons to consider hiring IT support. If you're running a law firm, you might take privacy concerns seriously and that's what your clients appreciate about you. When you can protect their concerns, their assets, or the suits they're a part of, you build their loyalty and faith. That's vital when you're running a law firm, because your reputation matters. However, if you don't have a secure tech system, all the talk you do about privacy and concern for your customers is pointless. Security concerns need to be your top priority when it comes to your tech. However, good security costs money and it takes time to build up a system that's robust enough to survive a cyber attack. Is your IT staff already prepared to handle what happens when your security is breached? Security breaches cost companies millions of dollars in lost revenue and a damaged reputation. Your tech staff needs to be prepared for what happens when security breaches hit your company. As nearly three-fourths of all companies suffer a data breach in their life, you need to be prepared in advance. You might not always be able to keep everyone out of your system, but if they get in, you need to be sure that you're ready to respond. Managed IT services spend hours every week ensuring that they've updated their technology to respond to any breaches. Ask around to any company and they'll tell you that labor costs are one of their biggest issues. When you're trying to compete in a global market, you need to ensure that you're ahead of the curve when it comes to having the best staff. They need to be trained in the latest tech and tools, but that also costs money. Rather than having to hire all the best people in your region, leave it to IT support service companies to handle. When you don't have to worry about finding staff, you can spend your time and money worrying about finding new clients. With the help of managed IT services, you get access to the best talent on the market without having to pay what it costs to employ them. Getting access to expertise ensures that you're on top of changes in the industry without having to pay for expensive training or tech. Labor costs don't need to drag down your company when you're trying to compete. You also shouldn't have to compromise the quality of tech services you provide your clients. 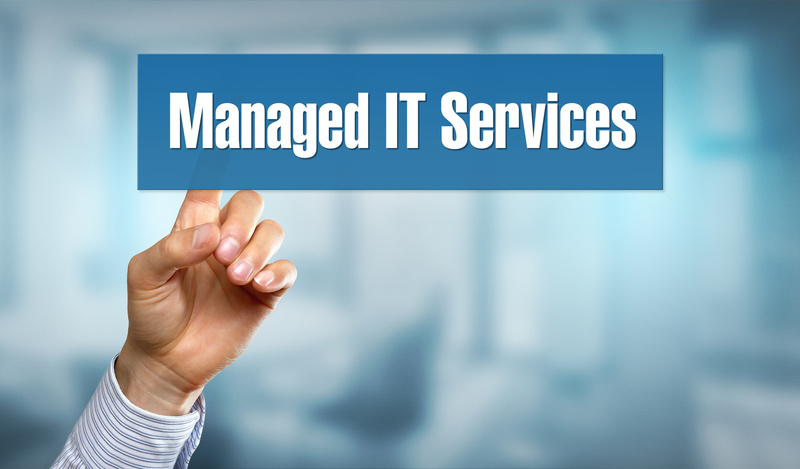 You can manage both when you hire managed IT services to handle your tech needs. The rapid speed of changes in tech puts companies and firms who aren't specialized in tech at a disadvantage. If you're aiming to stay ahead of your competition in the legal field while staying on top of tech, you're going to run yourself ragged. It's hard enough to compete in law, but when you have to learn about tech, it's going to be hard to compete with richer firms. Your tech needs are going to change every year, if not sooner. If you're not on top of what kind of security you should have, which software is the most secure, or your network devices, you should hire someone to do it. Having someone on staff to update you on a monthly basis is going to cost you a lot, so managed IT services let you get your services a la carte. You'll be able to scale up when you want to expand your firm or scale down if things get tight. 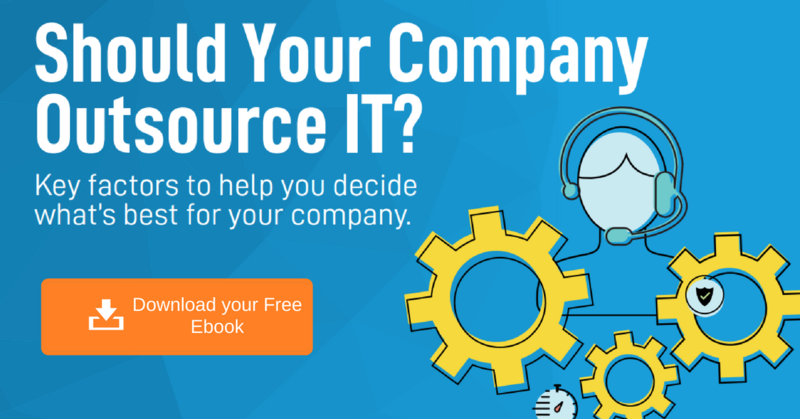 It's hard to compete when you don't have the same kind of tools as other companies, but with the help of managed IT services, you get the chance to keep up. Rather than reading trade magazines all day, you can focus on your clients and ensure that you've got the tools they need for a changing industry. If you live in a region where superstorms, wildfires, or earthquakes could hit, then you need to protect your clients and their data. Following a storm, your office could be flooded, damaging your equipment and leaving your customers feeling stranded. Rather than leaving them to feel like they don't have the support they need, hire managed services to ensure they get it. Managed IT services can ensure that you have the backups you need after a disaster. Client information and forms are hard enough to get together. If you don't have an off-site backup setup, you risk losing your clients. Rather than let them know that they have anything to worry about after an incident like this, you can protect them from feeling the aftermath with managed IT. Your support staff ensures that your off-site backup is secure and that even your backups are backed up. Disaster can happen at any point in a world where climate disaster is constantly looming. Rather than leaving your customers and clients vulnerable, protect them with the help of managed IT services. This ensures that all of your cases and clients stay on track no matter what other kinds of problems they face after a climate incident. If your practice is struggling to keep up with the future of tech as you chase changes to the legal field, you don't have to drive yourself nuts. Hire managed IT services to handle all of your tech support issues in the future so you don't have to put your practice at risk. If you want to stay ahead of any major security threats, check out our guide for more information.